The Hungarian Dances are fun dance pieces, which Brahms adapted from Hungarian folk tunes. Brahms wrote them for people to play at home, but because they're so popular they're available in all kinds of arrangements now. Brahms first heard Hungarian gypsy music on the streets of Hamburg. He was fascinated by the passionate sounds of the bands, who were refugees from the Hungarian Revolution. A few years later, Brahms did a tour of north Germany with the theatrical virtuoso gypsy violinist Eduard Reményi. Reményi would play the violin and Brahms would accompany him on the piano, by ear (i.e. without any written music!). This definitely gave the young composer the first inspiration for his own Hungarian Dances. But the Dances aren't exactly "authentic" gypsy peasant music... the melodies and inspiration actually come from popular music written by gypsies as cafe entertainment! Nevertheless, they were extremely popular with the general music-making public. People would play the dances at home for social gatherings. Amateur musicians loved the way Brahms would seem to transport them right into the middle of the gypsy bands with all the big, whirling melodies. I can see what they mean! There are 21 Dances. 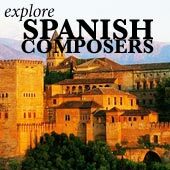 The composer wrote the first 10 for piano 4 hands (two players sitting next to each other), which got published in 1869 in 2 books of 5 dances each. Later on two more books were published, with the other 11 dances in them. Brahms himself considered all of the dances as "arrangements" and not original pieces. How modest! Brahms arranged about a third of the dances for orchestra, but several other composers (including Dvorak) orchestrated the rest. In fact, since the Dances are so popular, they've been arranged for pretty much every combination of instruments you could think of (well, most of them anyway!). But I still prefer either Brahms's original piano 4-hand versions, or a good arrangement for full orchestra. Hungarian Dance No. 5 - A Popular Tune! The most famous of the Dances is definitely number 5. 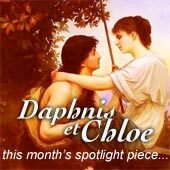 It's one of those pieces which most people would recognize, but probably couldn't name! It has an extremely energetic melody and big sweeping gypsy sounds. And here's pianist Idil Beret playing the first 3 dances, in solo piano versions. I really like the third one (F Major) - graceful and sweet, showing Brahms's talent for great simple melodies (when he felt like it!). 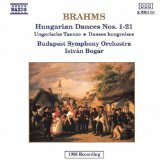 I recommend this great recording performed by Istvan Bogar conducting the Budapest Symphony Orchestra. It's a wonderful interpretation of the dances by Hungarian musicians (more authentic sound, perhaps? ), in crystal-like stereo sound. The players give the music enough countryside enthusiasm to make it sound like a gypsy wedding! Another recording of the orchestral transcriptions of the dances you may like is the energetic 1984 recording with Brahms specialist Claudio Abbado conducting the Vienna Philharmonic. The execution is perfect and technically invincible, but the performance lacks some of the wild elasticity and carefree playing that the piece's inspiration calls for. There are definitely instances of beautiful nuance and insight, but on the whole I rate this as a runner-up to Bogar's exciting rendition. If you're looking for a recording of the original work for four-hand piano, I suggest the Naxos recording featuring pianists Christian Kohn and Silke-Thora Matthies, who play with both precision AND enthusiasm, and really bring the dances to live with their energy. Great! 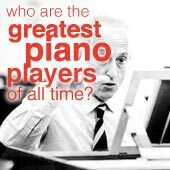 You might also be interested in Brahms's Academic Festival Overture, or Liszt's own Hungarian Rhapsodies.